Skin cancer is an extremely common condition in the United States, but it is curable with early detection. Although it may not be your first instinct, visiting your dentist can be a smart way to prevent this disease. Besides providing oral care, a dentist can play a vital role in cancer prevention. Melanoma is one of the most common and serious forms of skin cancer. Scientific research has shown long-term sun exposure is one of the biggest factors that cause this disease. However, melanoma can strike other parts of the body. For example, it can manifest in the heart or mouth as well. 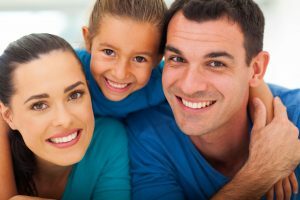 This is why visiting the dentist can have a positive effect on your overall health. Since early detection is key for treatment, scheduling regular dental visits are vital. When you arrange a checkup, your dentist will examine your teeth and other parts of your mouth. The American Dental Association explains that regular visits to your dentist improve the chances that suspicious changes in your overall health will be found early so that treatment can begin quickly. The signs and symptoms of oral cancer are commonly confused with other ailments. For instance, difficulty swallowing, problems chewing, and frequent sore throats may be signs of a regular cold, but they may also signal the beginning of oral cancer. White or red patches may be present in the mouth as well. Also, skin pigmentation changes may be symptoms of cancer that can occur anywhere around your neck, head, and facial areas. Every time you visit your dentist, this professional should examine your mouth for abnormalities or tissue changes. This expert knows how to identify cancerous lesions at early stages, which can save your life. He or she may use a unique lighting device as a tool to aid detection as well. Besides monitoring your dental health, your dentist can help uphold your overall health. At your regular checkups, your dentist will examine your teeth and screen your mouth for other oral issues. Dr. Dana Walters cares about his patients’ teeth but also cares about their overall health. He will be your oral care partner who screens your mouth and surrounding areas for cancer. Thanks to his diligence, you may be able to live a longer life. 7 New Tips To Prevent Gum DiseaseIs It Better To Brush With Warm Or Cool Water?